THIS TOUR IS CURRENTLY FULLY BOOKED. 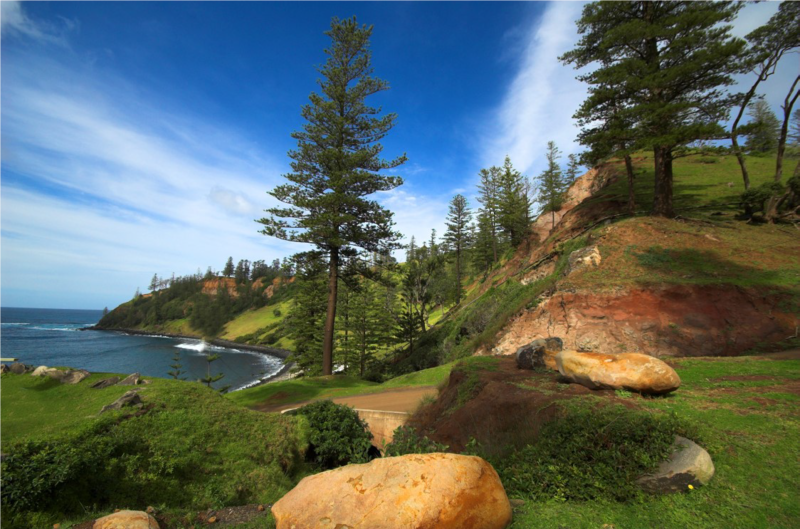 Norfolk Island, a tiny Australian island in the South Pacific Ocean, is defined by pine trees and jagged cliffs. Sandy beaches include Emily Bay, with reef-protected waters. Norfolk Island National Park offers views over palm forests from Mt. Pitt. In Kingston, the Norfolk Island Museum traces the island’s colourful past. The Kingston and Arthur’s Vale Historic Area has a ruined British penal colony. Our tour, organised by Potter Travel, will include tours of the Island including the World Heritage Listed Kingston, the Pitcairn Settlers Village Experience, the Colleen McCullogh Home Tour and other highlights with Baunti Escapes. There will be several Island dinners including a Progressive Dinner which takes you to three lovely homes in three completely different parts of the island. 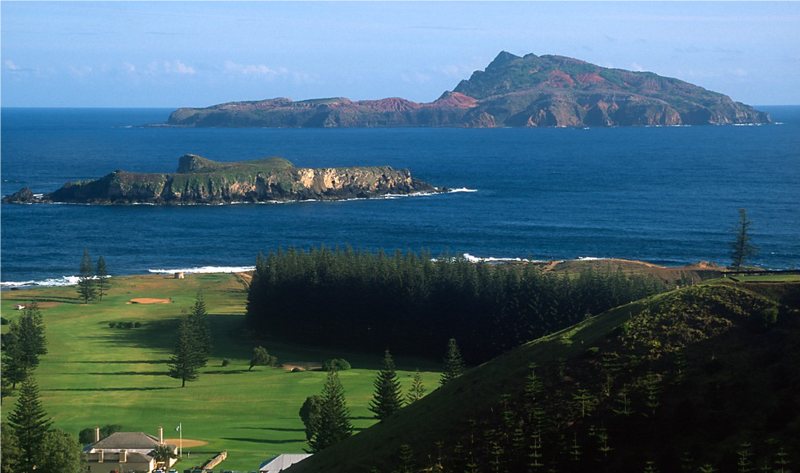 But, best of all, Eric Martin will be with you to share his knowledge of the history and heritage of Norfolk Island. Eric has been involved in the conservation of Norfolk Island’s architectural heritage for many years and will give you a great insight into this intriguing part of Australia with its rich history and beauty. Book: Contact Liz on 6230 0533 or email info@nationaltrustact.org.au (office hours: Tuesday-Thursday 9.30am-3pm) as soon as possible as places are limited (21) and flights need to be confirmed. The deposit is $300.00 per person and required within 14 days of booking up until 01 May 2019 and immediately on booking after this date. Final payment date is 7 June 2019.